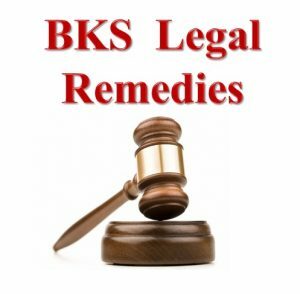 Legal Remedies- Legal remedy articles for common people against the corrupt system in India in the fields of Education, Health & Overall Governance. The organization has recently come to known the incidents in the state of Maharashtra where many people were served with wrong and excessive electricity bills. Shockingly, in most of the cases the electricity bills were many times higher than their regular electricity bills. The employees of the electricity companies literally threatened the consumers to pay the electricity bill immediately & warned them about the dire consequences of cutting the electricity supply in case of failure of payment. Shockingly in some cases aggrieved people paid such excessive and wrong bill amount to the electricity company for want of knowledge of any legal remedy or supportive approach from the concerned electricity company whether belonging to government or private organizations. Hence we have decided to publish this article which provides an effective remedy against the wrong and excessive electricity bills under The Electricity Act 2003. The plain reading of the Section 56 of the Electricity Act 2003 itself makes clear that any electric supplier distributor cannot disconnect the electricity connection of the consumer without serving a clear written 15 days’ prior notice before the disconnection even if the consumer has committed the default of payment. Also if the consumer disputed the electricity bill for wrong or excessive reason, he has two options, first is to pay the disputed electricity bill totally under protest and challenge it subsequently before competent authority & secondly, if he doesn’t wish to pay the total disputed amount, he has further been given the right to pay the preceding or previous 6 months’ average bill amount under protest which shall entitle him to continue to receive the electricity supply & service continuously and the electricity supplier shall not be allowed to disconnect his electricity connection until the disputed amount is adjudicated finally by competent authority. In brief the position of the law is that, if the consumer disputes electricity bill as a wrong and excessive then he has right to pay the previous or preceding 6 months’ average bill amount of the electricity bills under protest and to challenge the disputed amount thereafter before the competent authority. We appeal the people not to get frightened after receipt of wrong and excessive bills and instead of worrying about the consequences, to fight for the truth and teach a permanent lesson to the errant electricity provider whether it belongs to private or public sector. Women are given Free Legal Aid by Commission, Free Legal Aid centers are opened at every district level, around 298 are already operative in State of Maharashtra. While the International Women’s Day (IWD) is being celebrated on March 8 globally & various articles about the women rights have been published, in the absence of any knowledge about the remedial measures and information about the powerful organizations where women can seek the justice for their statutory and fundamental rights we thought mere awareness about their rights shall be meaningless. Hence we decided to publish the article about Maharashtra State Commission for Women, its complaint mechanism, powers, address & contact details. 5) Provide Counseling and Free of Cost Legal Advice to needy women. As mentioned in their official website-The commission is a statutory body vested with powers as applicable to the Civil Court in respect of requisitioning of any public record from any Court or office, issuing orders for the examination of witnesses and documents to enforce the attendance of a person to give witnesses and before the Commission for holding an enquiry in any matter, to appoint any officer of the State or Central Government for holding a enquiry into any question related to women rights’. Sexual harassment at workplace, etc. are being recorded at the commission’s office. In order to reach the woman in distress at district and block places, the Commission has set up counseling cells and free legal aids services to needy woman; throughout the Zilla Parishad, Municipal Councils and Corporations. These cells are run by local NGOs recognized by the State Commission, currently there are 298 such counseling centers in the State of Maharashtra. 3) The Commission has been vested with powers to direct the officers or agencies to investigate the matter and also has further been empowered to check the correctness of the facts put before by such officers & agencies. First visit on official website of the commission by clicking on – http://mscw.org.in after opening the home page, click on Registration button & thereafter on ‘Complaint Registration’. Fill the form details and your online complaint would be registered. All the information above mentioned is also available on their website. As the free legal aid is provided at the pre litigation stage, the aggrieved or victim women are not only explained about their rights and the consequences of the litigation but also are provided with mental support and appropriate counselling is done by the commission also. We have observed that the many commissions are not adjudicating the matters filed before them speedily for the willful conspiracy of the state government by not providing them necessary infrastructure, resources & manpower. Yet we recommend filing such complaints before either courts or commissions as the fear of not getting justice from system has resulted into complete injustice. How to Check CBSE Affiliation of the School. How to Check CBSE Affiliation of the School. Along with the detailed guide to check such affiliation. How to Check CBSE Affiliation of the School-The organization has recently come to know the shocking fact of many bogus schools who have not affiliated to Central Board of Secondary Education (CBSE) and yet have misrepresented the parents that hey have been affiliated to the CBSE board by mentioning themselves in their fee receipts, annual reports, pamphlets etc. and many schools even justify their fee hikes on such false and bogus ground by referring to the parents that they are the only CBSE affiliated school in the nearby area. Such bogus schools also go up to the extent of teaching the students CBSE syllabus and compel the parents to purchase the books as per their whims and fancies and make huge profiteering. Few parents also requested organization to publish the guide to check the official status of the affiliation of the school and hence we have decided to publish this article as the process to know the same is very simple. After opening of the above page, click on the ‘Schools Directory’ tab on the slight right corner of the page (check red circle highlighted area). After clicking on the ‘School Directory’ the following page will be opened. School level wise & also the name of the ‘Disaffiliated Schools’ can be checked from the website. The parents can check their own school’s affiliation in more than one categories to cross check the information. The parents can definitely initiate criminal prosecution along with the additional complaint to CBSE to not to approve the CBSE affiliation application form of such school. Author Bharatiya Krantikari SangathanPosted on December 25, 2018 April 11, 2019 Categories Legal Remedies (English)Tags cbse, legal remedies englishLeave a comment on How to Check CBSE Affiliation of the School. The Maharashtra Public Records Act 2005-Important Provisions. The organization had come to know many cases wherein common people of Maharashtra were denied the information of the public records under the Right to Information Act 2005 or demanded otherwise by simply stating the ‘Public Records’ are ‘Not Traceable’ or have been ‘Lost’. Such errant officers did not even bother to give such information of loss of public records in written communications thereafter resulting in many cases stopping of pursuance of such matters by the common people for traditional ignorance of their existing laws. Many few people know that the State of Maharashtra has already enacted the act above mentioned to regulate, maintain, preserve & secure the public records & has even made provisions of harsh punishment for any unlawful destruction or disposal of the public records. Section 2 (g) defines the Public Records which includes any document, manuscript, file, microfilm, any other material produced by computer or any other device etc. Section 3 provides that the State Government shall have power of supervision, management & control of archives. Section 4 makes provision of prior approval of the State Government necessary for taking the public records out of state of Maharashtra. Section 5 makes a mandatory provision for creating record rooms & records officer. Section 6 further makes provisions that records officer shall be responsible for proper management, security, maintenance & preservation of public records etc. under his charge. Section 7 of the act puts mandatory duty upon Records Officer to take immediate appropriate action for the unauthorized removal, destruction, defacement, altercation etc. for the recovery and restoration & submit the report to the Director without any delay who may further take action he deems necessary. Section 8 makes provision that no public records shall be destroyed or disposed off except in manner prescribed. Also it further makes provision that no Public Records older than 100 years shall be destroyed except if in the opinion of Director it is so defaced or in such condition that cannot be put in archival condition. We have intentionally mentioned this provision here as we have observed some officers misguide common people with false information that they are not bound to preserve the documents beyond 10 or 20 years etc. Section 9 makes provision that any person contravening the Section 4 or Section 8 shall be punishable with imprisonment with a term which may extend to 5 years & fine which may extend to Rs.10000/- or both. Thus any unauthorized transportation of documents out of state of Maharashtra, any unlawful destruction or disposal can result in severe punishment against the responsible person. Author Bharatiya Krantikari SangathanPosted on November 14, 2018 April 11, 2019 Categories Legal Remedies (English)Tags legal remedies english, The Maharashtra Public Records Act 2005Leave a comment on The Maharashtra Public Records Act 2005-Important Provisions.